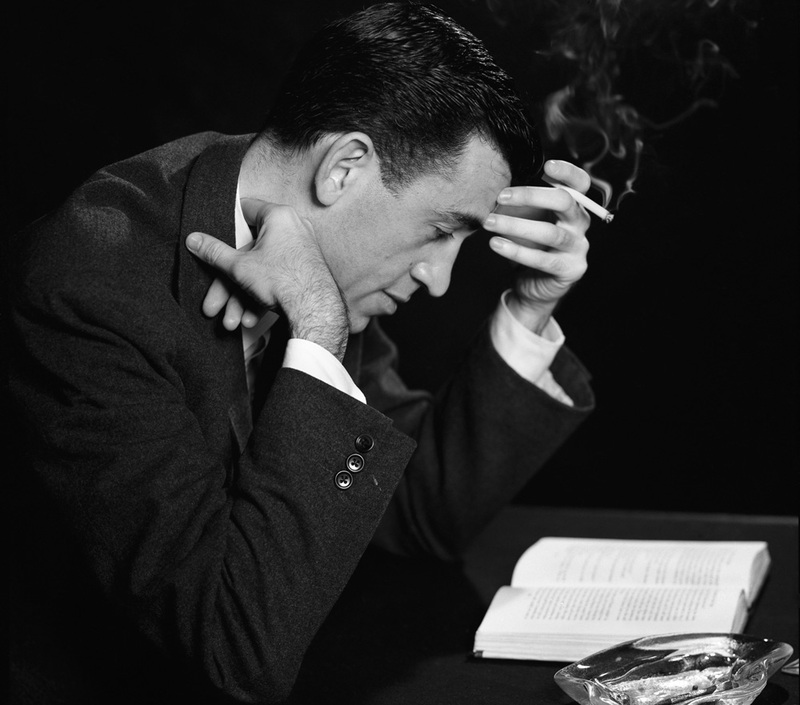 An unemployed actor tracked down Salinger to get his permission to adapt The Catcher in the Rye. In 1953, J. D. Salinger fled Manhattan for rural Cornish, New Hampshire, hoping to protect his privacy and find the solitude he needed for his work. The Catcher in the Rye, which spent thirty weeks on the New York Times’ best-seller list, had generated immeasurable publicity and adulation for Salinger, who wanted none of it. Among his new suitors were such Hollywood bigwigs as Samuel Goldwyn and David O. Selznick, both vying for the screen rights to Catcher. They failed to secure Salinger’s approval, as did many others, in turn—but that didn’t stop Bill Mahan, an unemployed former child star and devoted fan from Los Angeles, from giving it a shot. In the early sixties, he resolved to claim the film rights himself, even if it meant disturbing Salinger at home. Mahan’s account of his unlikely adventure can be found in his papers at the University of Wyoming’s American Heritage Center. On December 1, 1961, he wrote to Salinger by registered mail to share his vision for turning Catcher into an independent feature, with the author retaining “artistic control.” At the age of thirty-one, Mahan had no credits as a producer or a director, and very little money, so he proposed to shoot the film “art-house” style, without changing a word of dialogue. Given the shoestring budget, Salinger would, of course, have to grant him the rights for free. In hopes of sealing the deal, Mahan wrote that he would arrive in Cornish on December 13, whether he’d heard from Salinger or not. Salinger had fielded more than his fair share of oddball requests over the years, and he knew how to ignore them—but Mahan’s pluck must’ve convinced the author that he really would show up. On December 7, he fired off a telegram that spelled out, in no uncertain terms, his utter disinterest in the proposal. He urged Mahan to stay home. The message fell on deaf ears. Overjoyed to receive any response at all, Mahan seized on the telegram as a positive sign and decided to go ahead with the plan, believing he could “sell anything to anybody.” He’d learned to rely on his charm—and he had vast stores of confidence, having risen to fame as a child star. From 1936 to 1940, he’d featured in eighteen pictures as Bobby Jones, the youngest member of the Jones family. 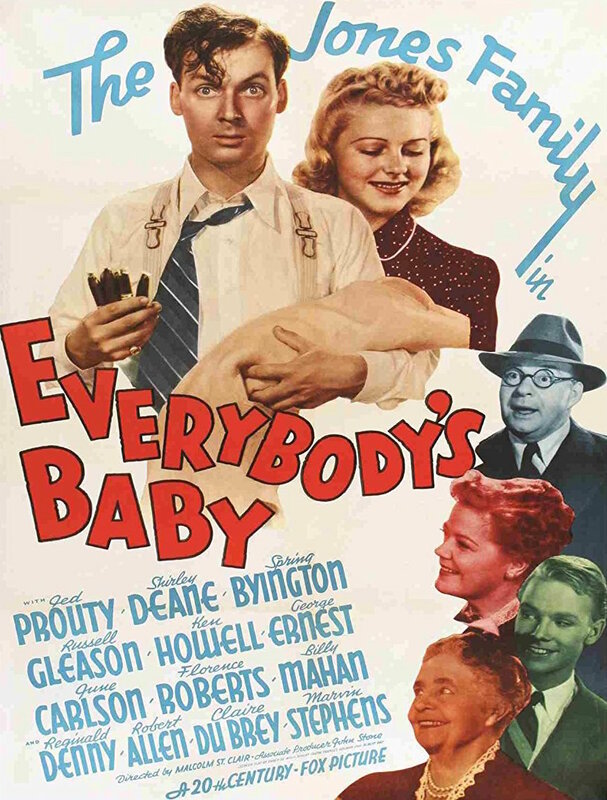 It was a lucrative comedy franchise, and the public loved little Bobby; a studio press book described the one-hour comedies as “energetic hokum … tolerably amusing in an entirely inconsequential way.” Now, decades later, Mahan had resolved to take that “energetic hokum” of his on the road: he was heading east. The trip to New Hampshire proved exhausting. Traveling on the cheap, Mahan boarded a small, piston-driven plane in Burbank that stopped twelve times en route to New York, where he made his way to the Saint Regis Hotel. His sister Colleen, a secretary to David O. Selznick, was staying there with her boss and some other staffers. Selznick was out for the evening, so Mahan took a shower, ordered a chicken sandwich, and helped himself to a drink from the well-stocked bar, careful to choose an off-brand vodka rather than the premium Smirnoff. But he wasn’t cautious enough. Selznick returned early—“a big man,” as Mahan describes him, “expensively dressed, with a heavy shock of pure white hair”—and gently chastised him for drinking the imported Russian vodka instead of the much cheaper domestic stuff. “I got a telegram from him just the other day,” Mahan said, dipping into his pocket to show it off. “Let me know how you make out,” said Selznick before heading off to bed. From Idlewild Airport, Mahan flew to Manchester, New Hampshire, then rented a car and drove the hundred or so miles to Cornish. He wasn’t impressed: the place lacked any amenities and didn’t strike him as a “real town,” just a hamlet. Most residents, Salinger included, conducted their business affairs on the other side of the Connecticut River in Windsor, Vermont. In his early days in Cornish, before he became more withdrawn, Salinger was known to be reasonably sociable. He liked to hang out with a group of Windsor High students, inviting them to his place to watch movies and listen to records, but when he agreed to be interviewed for the school paper, the subsequent uproar and attention convinced him to cut off all contact. Mahan checked into a Windsor hotel and pumped the locals at a corner bar for directions to Salinger’s house. He had no trouble finding it: a roomy, wood-frame place he recognized from the photos that had accompanied a recent spread in Life magazine. 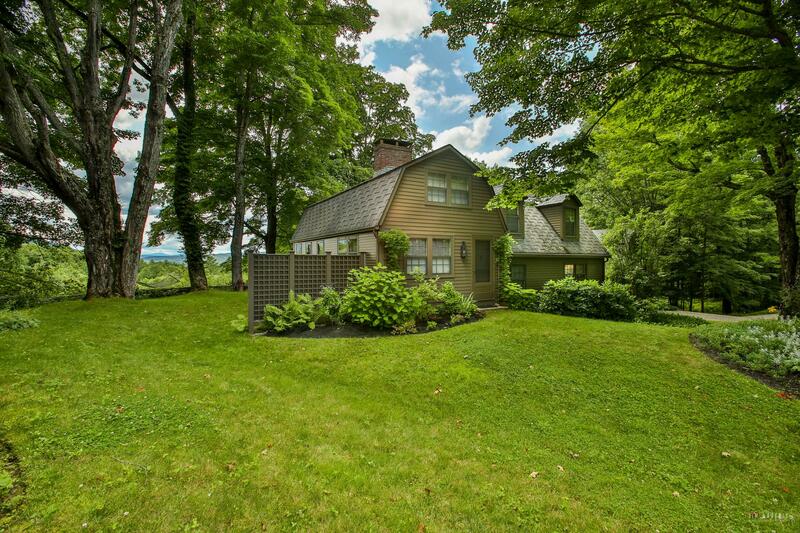 The house had a gambrel roof, a Jeep in the yard, and a superb view of Mount Ascutney. The gate was wired shut, but Mahan opened it and knocked on the front door. No one answered. 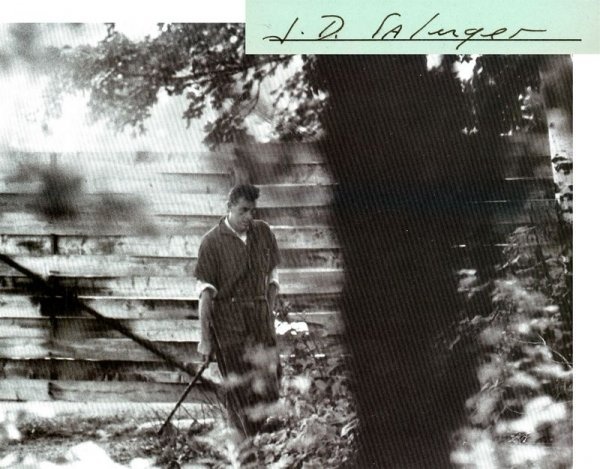 He suspected Salinger might be working in a smaller cinder-block house nearby, also pictured in Life, and started for it only to change his mind. Interrupting a writer who was concentrating might be unwise. He returned to his hotel to clean up and rest. A paparazzo’s shot of Salinger at home. On his second run to the house, he spotted the Jeep crossing the bridge to Windsor and followed it. Sure enough, Salinger was at the wheel. He parked by the Windsor News general store and walked in. Mahan jotted in his journal, “About six feet one, maybe even two. Very slender. Gaunt bony face … He was wearing regular businessman’s hat and a light colored raincoat. Light brown I think. He is very heavy bearded.” He took up a position outside the store, ready to intercept Salinger when he left. “I know. I remember it. In fact I can quote it verbatim,” said Mahan, probably hoping to score a point. After a few more volleys, Mahan grasped the error of his ways and admitted he shouldn’t have come. “I’m terribly embarrassed about the whole thing now,” he apologized. “There’s no point in being embarrassed. We’re both grown men. It’s just that I don’t want to see anyone. What are you going to do?” Salinger repeated, obviously concerned about the welfare of his uninvited guest and what to do about it. “You don’t have to feel responsible for me,” Mahan suggested. The conversation ground to a halt. As a parting shot, Mahan put yet another request to Salinger. Would he read a story his mother had published in Good Housekeeping ten years ago? To his great credit, Salinger didn’t lose his temper or laugh out loud. Instead he voiced a weary resignation. Salinger’s house in Cornish, New Hampshire. Mahan checked out of his hotel, but he couldn’t tear himself away from Cornish. Despite Salinger’s firm denial, he seemed not at all displeased with the results of his trip; he lingered in its aftermath. Musing over a cup of coffee at Windsor News, he felt he should write a farewell letter to Salinger and deliver it himself. So he did: trudging through the snow with his flashlight to the wired gate. Through a kitchen window, he could see Salinger fixing dinner, whistling and looking happy. As Mahan looked on, a big white Samoyed bounded out of nowhere, pinning him to the ground and exploring his ear with its tongue. The dog was friendly but disinclined to budge, so Mahan was forced to cry for help. Salinger came to the rescue. He can’t have been delighted. “My God, it’s you again! What do you want?” He accepted the letter and pulled Mahan to his feet. They proceeded to the porch. “Since you delivered it in person, I may as well read it,” Salinger said, leaving Mahan to wait outside, still unable to give him the boot, and retreating into the house. On his return, he made no mention of the letter. Instead he spoke with Zen-like economy, saying only four words, “Seven inches expected tonight,” as a light snow began to fall. They shook hands, and Salinger waved goodbye. Six hours later, Mahan was at the Saint Regis again, regaling David O. Selznick with the tale of his adventure in Cornish. Selznick, impressed with his chutzpah, offered him a job in South America selling a block of twenty-one movies he owned. J. D. Salinger descended from his ivory tower and slipped his Catcher in the Rye screen rights to producer Bill Mahan, having previously spurned such top moviemakers as Elia Kazan and David O. Selznick. Salinger will be technical advisor. On camera, as narrator, he’ll be portrayed by Kier Dullea. Whether Mahan was involved in placing the item, an old Hollywood ploy, isn’t known, but he was quick to write Salinger and deny it. “I had nothing to do with it,” he swore, “and I am terribly sorry that misinformation got into print.” The trip to Cornish had turned out to be good luck, he confided, leading to his success with Selznick and his new position as the director Henry Koster’s assistant on the feature film, Take Her, She’s Mine. He closed with a paragraph that must’ve had Salinger pulling out his hair by the roots. The more I think about it, at the end of this job I believe I’ll come and see you again, and maybe this time you will at least give me the chance to tell you what I would like to do with your book. Salinger wrote back two days later. Why did he bother to keep the connection alive? It would’ve been easy enough to say nothing. But maybe Mahan’s charm had worked, and Salinger now saw the humor and absurdity of the situation. Certainly the tone of his letter is bemused, even if its message is firm. There would be no movies based on his work, and no further visits from Mahan. Afterward, Bill Mahan had a checkered career in and around Los Angeles. In 1963, he served as a producer on Strange Lovers, a B-movie about gay men that carried the tagline “a deep penetration into the world of unnatural love.” He also became a successful syndicated newspaper columnist, covering movies, TV, and entertainment. For convincing the actor Jeff Hunter to play the lead in No Man Is an Island, he earned ten thousand dollars and twenty weeks of work on the film. He wrote an autobiography about being a child star, The Boy Who Looked Like Shirley Temple, and, with his sister Colleen, a novel, The Moviola Man. This time Salinger chose not to reply. Digital reproductions of select material from the Bill Mahan Papers (Collection Number 10045) are unrestricted, open to the public, and available online at the American Heritage Center, University of Wyoming. The quotes, letters, and observations attributed to Mahan in this essay, along with the verbatim record of his conversation with Salinger, can be found in Box 3, Folder 4 (J. D.Salinger 1961–70), except for Mahan’s last letter to Salinger from Box 3, Folder 1 (Personal Correspondence 1962–1984). Bill Barich’s books include Big Dreams, A Pint of Plain, and the racetrack classic Laughing in the Hills.